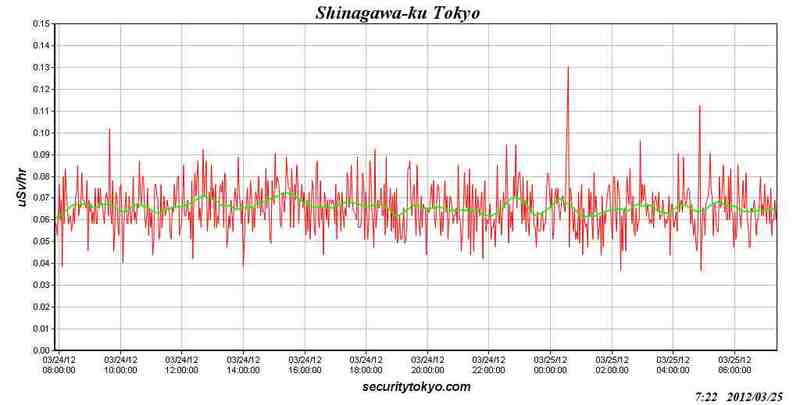 Tokyo security measured radiation level picked up more than double in Adachi ku and Shinagawa ku of Tokyo at once. The dosemeter is set inside of the room. Radiation level picked up about 0:30 3/25/2012 in 2 places.